Here To Save You Time AND Money! Rockville Movers Ready to Move You! new job, need more space for a new baby, or simply want to be closer to local landmarks like the Rockville Civic Center or the beautiful Pike & Rose town square. Moving shouldn’t be a headache. When your moving day arrives, it should be an exciting, anticipation-filled experience that you’ll remember for the rest of your life. That’s where Artisan Movers comes in. Unlike other moving companies, we won’t perform a rush job just to “get it over with.” We understand that moving day is one of the most important events in your life, and we’re here to give you exclusive VIP treatment that makes the process as relaxing and stress-free as possible. Started by a local mover with five years of experience in relocating high-profile individuals, we’re prepared to give you that same VIP treatment that’ll make you feel like a celebrity. Our high standards and commitment to quality are unparalleled. And if you’re looking for movers in Rockville MD, we’re confident that there’s no one better on the market. 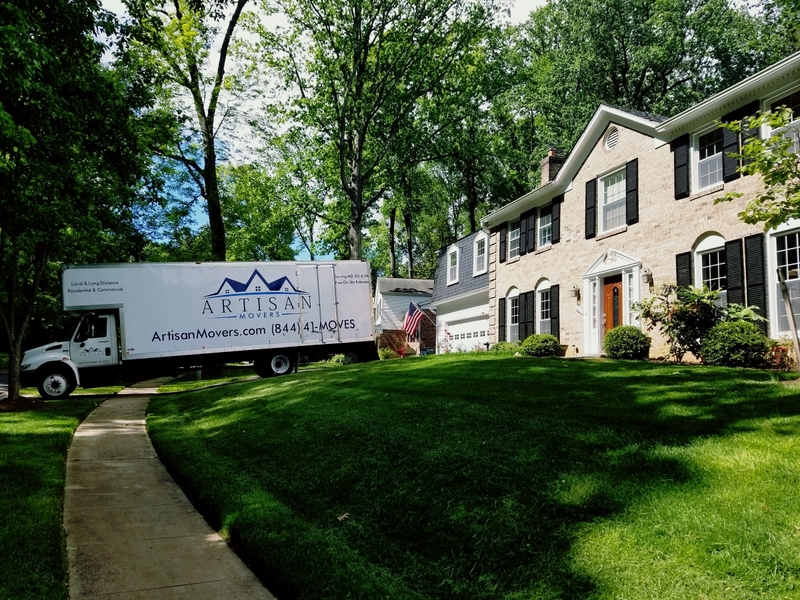 When you work with Artisan Movers, you’ll quickly realize that we’re not just another big-name business looking to make a profit. We’re a locally-owned business that knows the DC metropolitan area by heart, from the shopping and fine dining at Rockville Town Square to the art galleries and events at the Rockville Civic Center (Glenview Mansion). To us, you’re not just another customer–you’re a unique individual with your own needs, wants, and experiences. And just like you have your history, we know that your furniture has a unique history of its own. 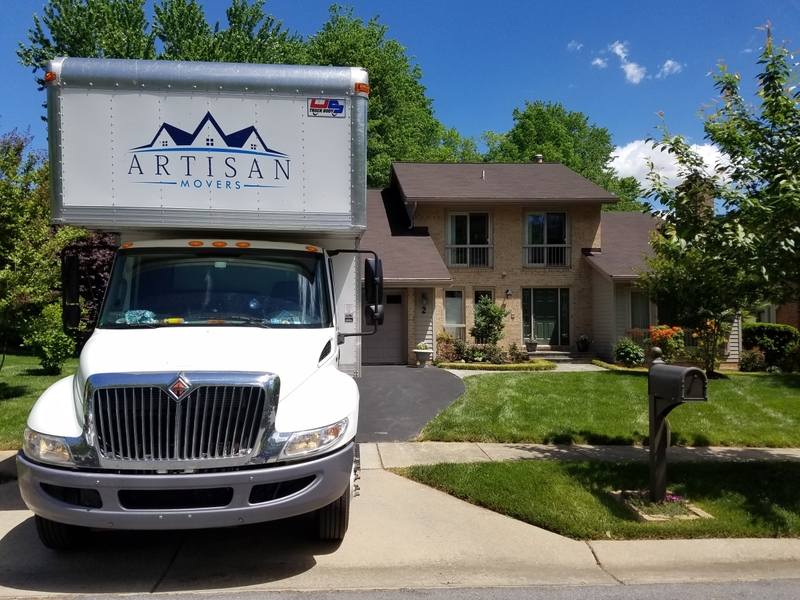 At Artisan Movers, we’re dedicated to treating your belongings, furniture, and appliances with the care and reverence that they deserve, instead of just throwing everything in the truck and calling it a day. As you clean out your pantry in preparation for moving day, you might find yourself with a lot of old canned food that you don’t think you’ll ever use. Your first instinct might be to throw them away. But why throw away perfectly good food when you could donate it to your local food pantry instead? For this reason, we’re proud to team up with Move for Hunger, an organization that collects unwanted food and donates it to local food pantries. As you clean out your pantry, set aside the unopened, nonperishable food that you don’t want. We’ll box it up for you and send it over to the nearest charity. Most people think that moving to a new house is a stressful but simple process–you box up your furniture, cram it in the moving truck, and ship it to a new location. But at Artisan Movers, we don’t see packing and shipping as a rushed, unavoidable chore. There’s no “one size fits all” packing method that covers every appliance and piece of furniture in your house. For this reason, we’ll treat every piece of furniture with individualized, personalized care to ensure that nothing gets damaged in the shipment process. Our team comes equipped with a wide variety of boxes, packaging, and packing supplies to ensure the safety of your furniture. At Artisan Movers, we understand that it’s not just a couch, a bed, or a table–it’s the source of countless memories. And you can’t put a price on that kind of history. efficiently, with high-quality packing materials that protect your furniture with ease. And once you’ve arrived at your new home, we can also assist you with the unpacking process to ensure that everything is opened and relocated safely. Got heavy furniture? We can haul it anywhere, even upstairs. Worried about your vases and lamps? We’ll carefully move them to their new location. And we’re fully licensed, insured, and bonded, so you can count on us for safety and reliability. Are you moving to a different state? Don’t worry–our services don’t end at the state border! Whether you’re relocating to a neighboring state or moving completely across the country, you can enjoy the same great packing and shipment services that we offer to local movers. And we’ll even ship your furniture to the new location. No need to worry about coordinating trips or hiring outside shipment services. We’ll take care of the whole shipment process, so all you have to do is show up to your new house. Are you a business owner looking for highly qualified Rockville movers to relocate your business to its new location? Whether you’re moving a few blocks away or to a new location across the country, we’ve got everything you need to pack and ship your office furniture. At Artisan Movers, we understand that house furniture and office furniture require different packing methods. Our expert movers are fully trained to pack and ship office furniture in a safe, secure manner that also preserves the security of sensitive files and documents. And we can work with your employees to make the moving process calm, efficient, and stress-free. If you’re a commercial business owner, you’re entitled to the same great services that we offer to residential homeowners. That means if you’re relocating your business to another state, we’ll ship your furniture safely and efficiently to your new location. Our team ships to just about every location in the lower 48 states. So don’t worry about searching for an outside shipment company that you can trust with your valuable supplies and secure files–we’ll ship everything for you, with the same professional service that makes us an expert moving company that you can count on. Would you prefer to pack up your furniture yourself, but have no idea where to find high-quality packing supplies? As local movers in Rockville MD, we understand the importance of having high-quality packing material to ensure the safety of your belongings during the shipment process. For this reason, we allow you to purchase packing materials directly from us–no need to search for an outside supplier. You know that these materials are worth your investment because they’re the same materials that we use for every client. We sell sturdy, durable boxes in just about every size you can think of, from small containers to large wardrobe boxes. We also sell packing material like plastic and bubble wrap so you can ensure that your delicate belongings are safe and secure. When you buy from an expert moving company, you know that you’re getting the best materials on the market. And if you change your mind about packing your furniture yourself, or need some extra help along the way, we’ll always be happy to assist you. Is your new location not yet available? Are you planning a long-distance move and need a place to store your belongings? At Artisan Movers, we offer a secure, climate-controlled storage center that can store your furniture for both short and long periods of time. Our center has full security and complete 24-hour surveillance, as well as climate control features to prevent mold, mildew, rust, and other potential issues. We regularly take precautions to keep the center clean and pest-free. From a towering wardrobe to a tiny glass vase, we have the space to store everything you need until you’re ready to move into your new home. Ready to Hire an Expert Team of Rockville Movers? If you need movers in Rockville MD, get in touch with us today to request your free estimate. Fill out the short form at the top of the web page, or call (844) 416-6837 to speak directly with a representative. We’ll work with you to assess your individual needs and schedule a convenient date for your free assessment. As an expert team of Rockville movers, we’re committed to streamlining the entire process and giving you a clear idea of what to expect–no sudden surprises or hidden fees on moving day. We’ll help you plan for your big moving day, then give you the expert tools and services that you need to safely relocate to your new house. Ready for your free quote? Call (844) 416-6837 today or fill out the convenient online form. We can’t wait to hear from you.